As the brand-bruised Netflix admitted in a recent shareholder letter, perception matters. Here’s how your company can avoid a similarly dramatic fall from grace. Over the last couple of months, Netflix has undergone a major brand transformation–and not in a good way. They’ve gone from a trendy, convenient video provider to a bumbling, greedy, corporate entity–and the significance of this transformation has shown itself in terms of cancelled subscriptions (over 800,000 accounts lost in the third quarter alone) and a plunging stock price (a drop of nearly 75% since July). What caused this massive fall from grace? At its core, of course, were financial challenges. Netflix is facing increased competition and higher operating costs. But Netflix leadership made a fatal mistake while planning their response to these challenges–they failed to consider the power of public perception. 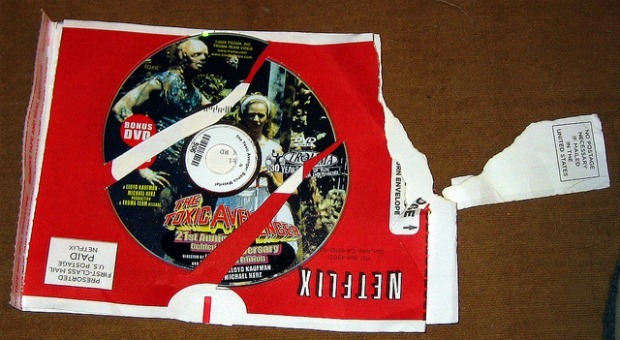 In July, Netflix announced that they were separating their online streaming services from their DVD service–and that customers would have to pay for both. In effect, this amounted to a 60% price increase. In what should have been a predictable outcome, there was a massive costumer outcry, particularly online. Quite simply, Netflix leadership failed to account for the reality that customers would see their reorganization as a major price hike, and that these upset customers would vocalize their frustration online. Over the weeks following their July announcement, Netflix held firm. They acknowledged customer frustration, but took no steps to fix the problem. In September, they announced that they were creating a separate company and website to handle their DVD services, known as Qwikster. Once again, they failed to address customer perception–as this “solution” in no way addressed customer concerns. The response was overwhelmingly negative, and ultimately Netflix scrapped the idea. The lesson here? Perception matters. Had Netflix created a more palatable strategy addressing their financial concerns, their dramatic fall from grace could have been avoided. Don’t repeat their mistake. Think about the impact of the decisions you make, as the CEO of your business, through the prism of your customer’s viewpoint. It’s not enough to make decisions that work for your business internally–they need to make sense to your customers, as well. Never forget the power of perception when it comes to building a strong company brand! JW Dicks (@jwdicks) & Nick Nanton (@nicknanton) are best-selling authors who consult for small- and medium-sized businesses on how to build their business through personality driven marketing, personal brand positioning, guaranteed media, and mining hidden business assets. They offer free articles, white papers, and case studies at their website.